Send them on a trip to the tropics this Valentine's with our exotic bouquet of long-lasting, deep purple Dendrobium orchids. 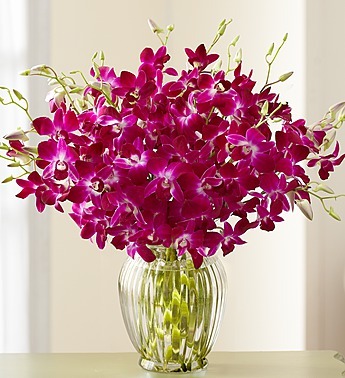 Send a 15-stem orchid bouquet. Arrangement approx 14"H x 12"W.